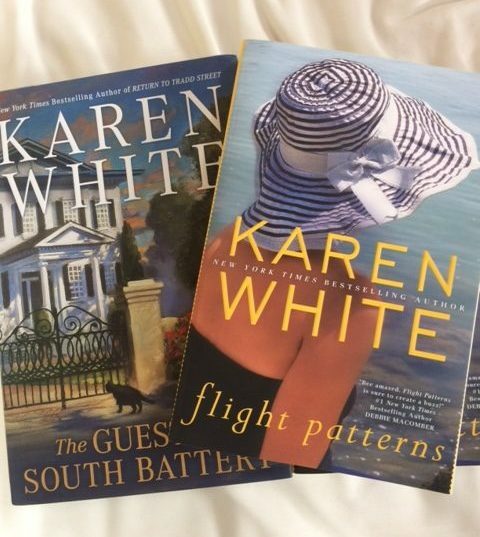 Bestselling author Karen White says settings in her books become characters, and that’s certainly true for her latest The Sound of Glass. 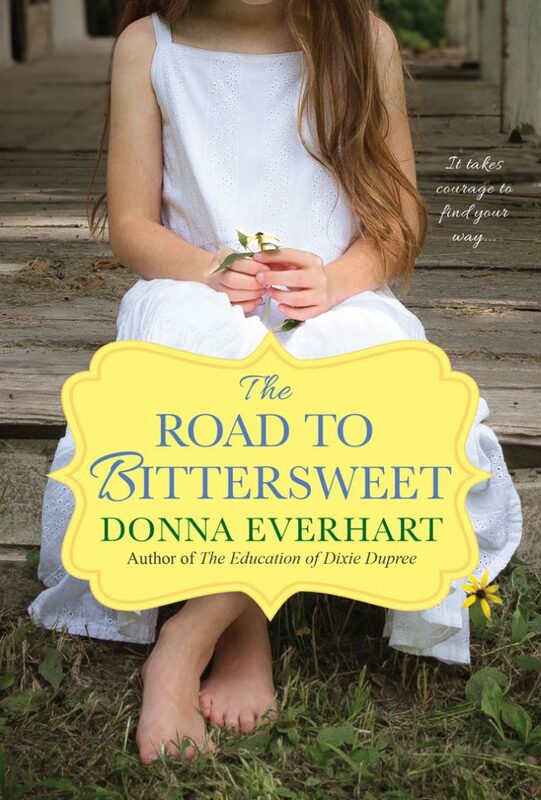 Set in the seaside town of Beaufort, South Carolina, where main character Merritt Heyward has inherited her husband’s family home, the novel takes us from The Bluff neighborhood to waterfront park, the sandbar and Lady’s Island. Heyward Home – Greek Revival in style and dating to 1791, Merritt first sees six large Doric columns supporting double porches the width of the house and a hipped roof with three visible chimneys. The porch railings and spindles are peeling white paint, the front steps tabby, and the massive front door desperately in needs of a new coat of paint. An enormous oak tree stands out front, and two dormer windows are visible in the attic. 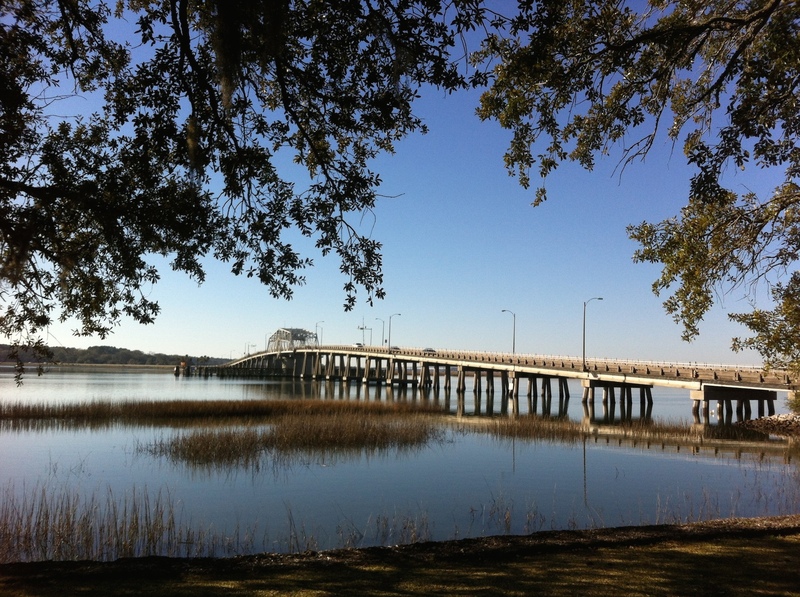 Woods Memorial Bridge – One of Beaufort’s most notable landmarks, this swing bridge crosses the Instracoastal Waterway from Beaufort to the string of sea islands that lie on the other side. When Gibbes first takes Merritt, Owen, his friend Maris and Loralee out on his boat, they cross the bridge to his home on Lady’s Island. Lady’s Island – Once home to indigo plantations, Lady’s Island just across the bridge from Beaufort is named for former Gov. Joseph Blake’s wife. Character Gibbes lives here in a midcentury modern house and launches his flat-bottomed boat from the dock out front. He navigates it through the creek into the river, making it difficult for Merritt to reconcile the wide expanse with the Maine shoreline of her childhood. 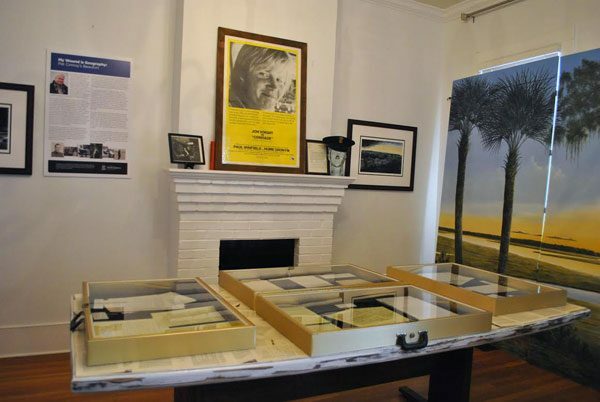 Beaufort County Heritage Society – Located on Carteret Street in the book, the heritage society is where Gibbes and Merritt learn about Edith’s work for the police department and the real-life Frances Glessner Lee and her crime scene boxes. 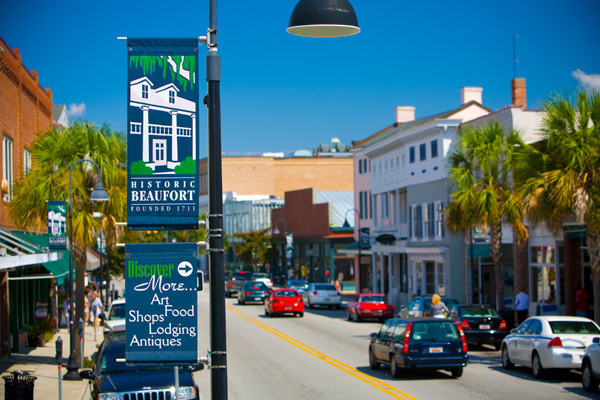 To learn about the history of Beaufort, the County Historical Society and Historic Beaufort Foundation would be good places to start. Waterfront Park & Marina – Owen asks Merritt to take him and Maris to the marina to look at the boats. They walk down Bay Street, crossing toward the water and into the public waterfront park bordered by the marina. There, Maris finds a fiddler crab in the pluff mud. Merritt returns to the park after leaving the hospital upset over Loralee’s condition and later accompanies Gibbes to the annual Water Festival there. He teaches her to shag along the boardwalk along with the local dancers. Beaufort Sandbar – The crew returns to Lady’s Island and once again piles into Gibbes’ boat for a day at the sandbar. They set up chairs, make a sandcastle, swim, drink beer and basically do what Beaufortonians do when the weather gets hot. Accessible by boat only, the sandbar is a local tradition in summer. Read our interview with Karen White on The Sound of Glass here. 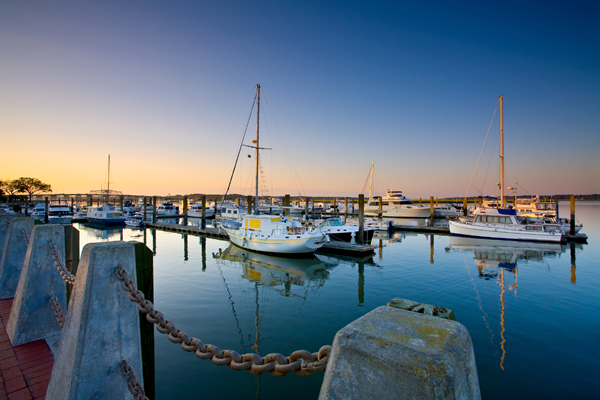 Find out more about Beaufort’s literary connections in our travel story Visit the Town of Tides. 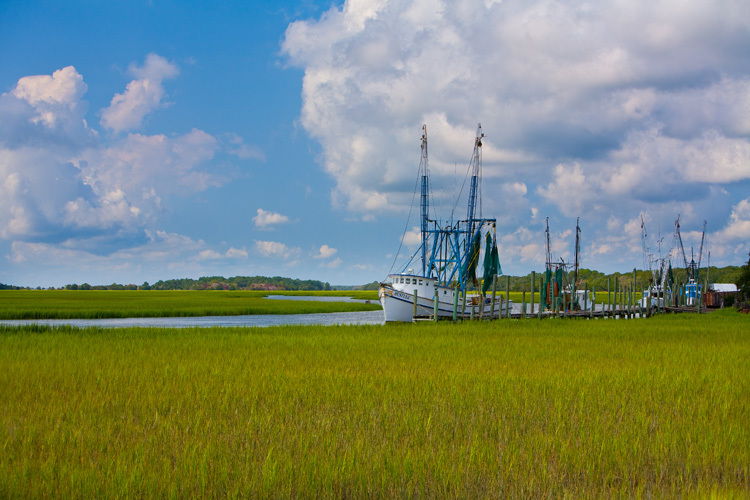 All photos courtesy of Visit Beaufort except Woods Memorial Bridge by Deep South. I just got this book from the library yesterday. I’m a few chapters in and can’t wait to find the time to really get into the story. I’ve been a craft vendor at the Water Festival for several years so I’m looking forward to the scenes set there and in Waterfront Park. Love Beaufort.